The name means “Land beyond the Po.” During the years, the richness and fertility of this magnificent area have manifested itself tank to the high level of agricolture and viticulture. 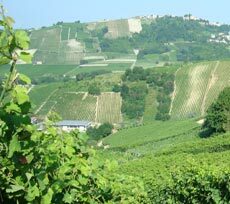 The main activity on the hillside of Oltrepo Pavese is the vine cultivation. There, high quality grapes are produced that allow for an excellent final product. Today, the Oltrepo is the most fascinating agricultural reality in our country. Thanks to the great work carried out to improve the majority of our wine quality, development towards the importance and the image of this area is always growing. Canneto Pavese is found at the centre of the Oltrepo where the vine cultivation for wine production is a thousand-year-old tradition. 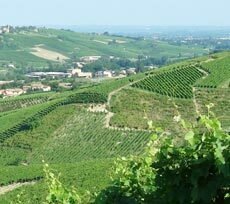 The vineyards spread across the face of the horseback hills through the Versa Valley and the Scuropasso Valley at an altitude between 129 and 280 metres.